Lake Norman is about to get artsy! As the north Mecklenburg and south Iredell area continues to grow, so does interest in establishing local programs for the arts. Nowhere is this more evident than in Cornelius, where residents have approved $4 million in bonds to establish a new downtown arts center. Each of the towns — Cornelius, Davidson, Mooresville and Huntersville — has an active series of programs and services tied in to appreciation of the arts. In addition, new physical facilities will soon be enhancing those efforts. Blue pre-fab buildings are on the property next to Police Headquarters where the Cornelius Arts Center is expected to be built. The focus in Cornelius is on development of a Town Arts Center near Town Hall on Catawba Avenue. The goal is to erect a new building adjacent to Police Headquarters where arts-related programs and activities can be presented. Town officials are taking this effort very seriously. “Beyond its prominent geographic location in our Town Center, the community and cultural influence of this facility will be felt across all of Cornelius and regionally too” said Assistant Town Manager Andrew Grant. At the town’s recent budget retreat, Planning Director Wayne Herron noted the arts center will also be an eco-development magnet, facilitating additional interest in the Old Cornelius downtown area. The town board has also approved a management contract with the Cornelius Arts and Community Center, a nonprofit organization. This will enable the center to start raising additional funds for the center as needed. Meanwhile, property in the downtown area near town hall is being acquired for the Arts Center, including a 1.85-acre parcel next to Police Headquarters on Catawba Avenue. Pubic art exhibitions are held at Robbins Walk, and the town has purchased sculptures to place around Cornelius. A Tawba Walks arts festival is held downtown as well. While Davidson doesn’t have an arts center of its own, the town has perhaps the next best thing: a strong liberal arts college. Lectures, readings and performances are held year round at the Duke Family Performance Hall, and the Davidson Community Players perform at the Armor Street Theater. One of the best known initiatives in Davidson is the summer concert series, Concerts on the Green. Throughout the summer on alternating Sunday evenings, the lawn in front of the town’s library is filled with hundreds of people enjoying the sounds from some of the best musical organizations in the Carolinas — all free of charge. Although the town does not currently have a physical facility dedicated strictly to the arts, it does have two facilities scheduled to open in 2018. Veterans Park in downtown Huntersville will have a stage and festival lawn, which will allow the town to offer more live music, arts festivals and performing art in the downtown area. In addition, the town is having a new 24,000-square-foot Recreation Center built within the Huntersville Athletic Park on Verhoeff Drive. The new facility will have a multipurpose room giving the town more programming space for other art-related offerings. In addition, the town hosts an annual music and arts festival called Hello Huntersville. The daylong event — this year on May 7 — features music and art programs along with displays by regional art vendors. Similar to Cornelius, the town’s biggest connection to the arts is based on a yet-to-be-completed facility. Through a partnership with the Mooresville Graded School District, the town will be presenting many nationally known artists and plays at Mooresville High School’s new Performing Arts Center, which is cunder construction. 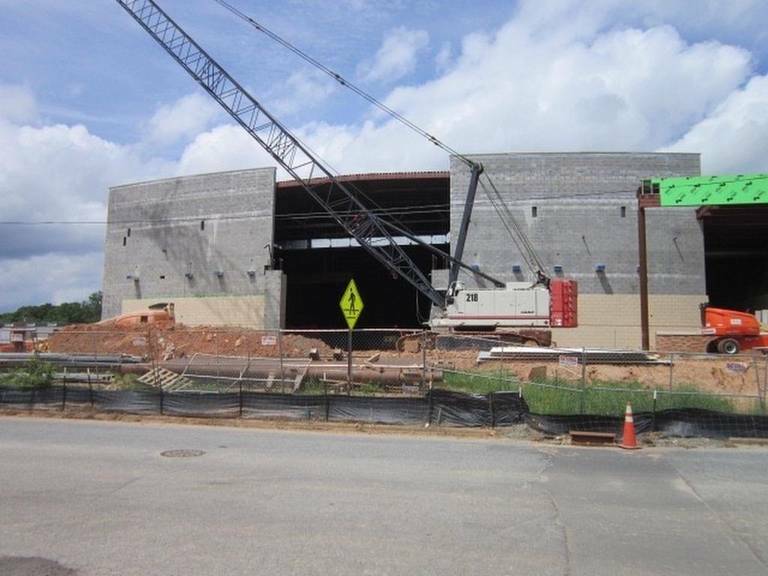 The state-of-the-art auditorium will be the biggest in the area with 1,600 seats. “We believe the type of arts and culture this partnership will allow the town to bring in will not only provide wonderful opportunities for folks in our community, but also will have a great positive impact on our local economy,” said Stephanie Crisco, supervisor at the town’s citizens center. Also new in Mooresville is SPARC, its community think tank. SPARC stands for Special Events, Arts, Culture. The next SPARC meeting will be held 6:30May 16 at The Charles Mack Citizen Center. Anyone interested can contact Stephanie Crisco at scrisco@ci.mooresville.nc.us or by calling 704-662-3334. Mooresville is also home to Mooresville Arts, www.magart.org. Construction continues on a new, 1,600-seat auditorium at Mooresville High School. 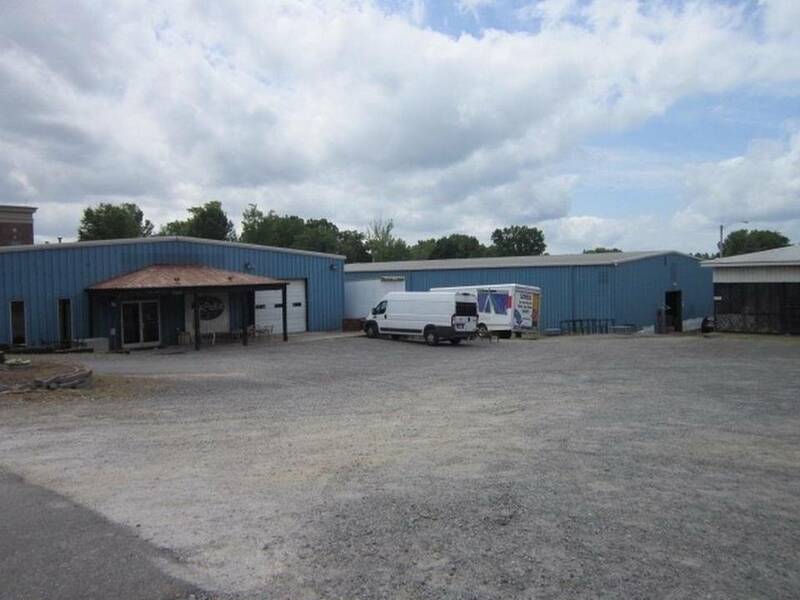 Numerous art and music shows will be presented at the facility. At Dupont Real Estate, we know our community and we know our market. It is imperative to stay in the know with our growing community! We are your Real Estate Resource. If you are looking to buy or sell a home in Lake Norman, Charlotte, or surrounding areas anywhere in NC, SC, or VA. We are here to assist you! Contact Us.